In case you haven’t heard the latest in ‘brow news’, the newest brow salon which seems to be the answer to every girl’s beauty dilemma is finally here in Cagayan de Oro! 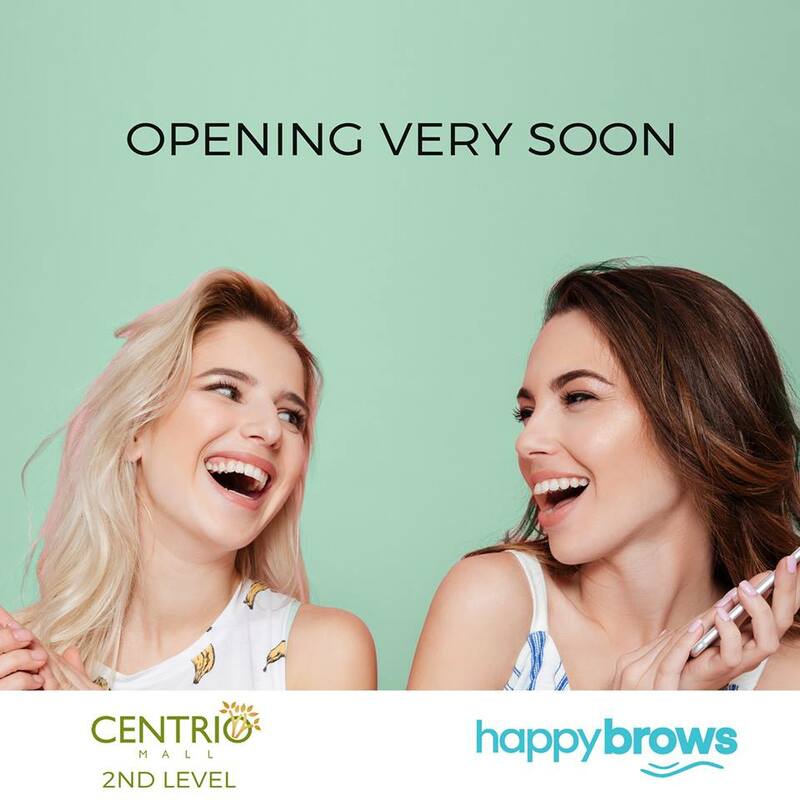 Happy Brows brightens up everyone’s day with the opening of its second branch in Centrio Mall this November 15, 2017. If you think you’ve watched enough YouTube tutorial videos on how to do your brows but still feel unsatisfied, now is the time to raise the matter and leave it to the brow experts. It’s time to get in shape- your perfect eyebrow shape! Warm smiles will greet you as you enter and in no time, Happy Brows’ friendly team of expert brow technicians will walk you through the path to your soon perfect brows. They offer professional consultation to determine the best and most ideal brow shape according to your unique facial features. After this enlightening step, brow shaping takes place skillfully and meticulously. Prepare to get cozy in a brow salon because Happy Brow’s interiors will definitely make you giddy inside. What sets Happy Brows apart from all other brow salons in the country is that they are the only one who delivers professionally done, perfect brows every time and on top of that, you get a free eyebrow make-up to complete your look. For those with trust issues, their Money-back Guarantee would sit well with you. With Happy Brows, you’re confident to walk out looking extra and ready to win the compliments from your family and friends. Close friends will ask about how your day was and how your brows went from zero to hero and you would enthusiastically share because Happy Brows is something that you don’t keep as a secret; Happy Brows is something you can’t wait to burst out to every friend because real friends look out for each other’s brows. Aside from excellent brow services, Happy Brows also offers lash perming, lash extensions and hair removal services for a total beauty treat! Ready for a brow-makeover? 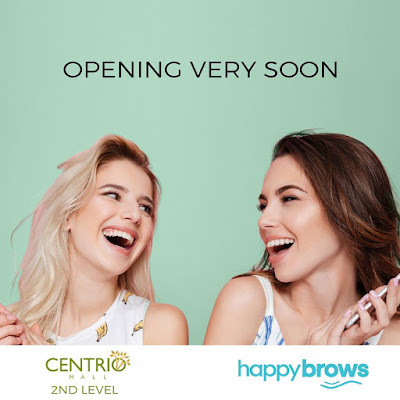 Visit Happy Brows at the 2nd level of Centrio Mall now and be the first to tell your friends about it! Follow them on Facebook at /HappyBrowsPH for the latest updates and exciting promotions. Get set for your smoothest skin ever as Hey Sugar’s expert aestheticians share important waxing tips as it opens its newest branch in Centrio Mall, Cagayan de Oro. You’ve taken the time to make sure you only go to experts, made sure they only use the best, highest quality, all-organic natural ingredients, might as well take the time to learn about what it takes to care for your post-waxed skin. Here are a few insider secrets straight from the aestheticians of the go-to destination for all-natural, sugar waxing—Hey Sugar! · Skip the lotion on the day of your appointment. For best results, we’ll need clean, dry skin. · Stop shaving at least two weeks before your appointment. Hair needs to be long enough to lie flat on your skin. Those who shave typically have hair grow back uneven, which makes removing hair using wax difficult. · Give your skin some breathing time after you wax. Your skin will be exposed and sensitive. · Avoid the sun after a wax. So don’t schedule your appointment on the day before you leave for the beach. · In general, avoid exposure to extreme heat, including saunas, steam rooms and hot showers. Go for cold water post waxing. · Don’t wear tight clothing after an appointment, particularly synthetic lycra you usually wear as workout clothes, which also means this is your best excuse to skip the gym. · Begin exfoliating a couple days after waxing to make sure that you prevent ingrown hairs. If you have any questions, just ask your Hey Sugar! aesthetician. They’ll be more than happy to answer any concerns that you may have. You can trust that Hey Sugar will make your waxing experience healthier and more comfortable because they only use 100%naturally hypoallergenic sugar wax that minimizes side effects such as allergic reactions and chemical irritations caused by traditional wax. With this, you’ll get a gentler but no less effective way to keep your skin smooth and hair-free. Drop by Hey Sugar! located at the 2nd level of Centrio Mall and expect a clean and inviting waxing haven and leave it all to the hands of expert aestheticians trained to deliver the best sugar waxing services. Hey Sugar! 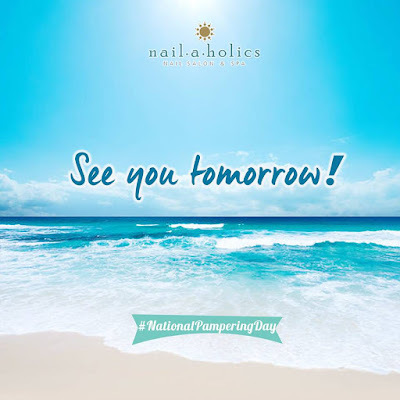 Waxing Salon currently has over 31 locations nationwide, including in UP Town Center, Festival Supermall, SM Bicutan, SM Sta. Rosa, SM Bacolod, SM Calamba, Harbor Point, and our newest branch Hey Sugar Ayala Centrio Mall. To know more, follow them on facebook.com/HeySugarWaxingPh, Twitter.com/HeySugarPhils and Instagram.com/HeySugarPhils. For bookings, contact: 0943-706-2550. 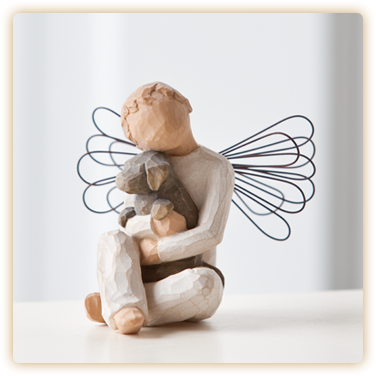 As the holiday season approaches, you may be starting to think about what gifts you should get for your loved ones. Whether you have a large, diverse family of people who expect gifts, or only a few people who are close to you to shop for, the sooner you start planning for the holidays the better. And, of course, you want to make sure that you choose gifts for people that they'll actually like, instead of simply returning them for a refund. As you make your shopping list for holiday gifts for the people in your life, keep these ideas in mind. All too often, people will go shopping with the best of intentions, only to end up with a gift that the recipient doesn't care about at all. That's often because people go shopping with their own thoughts and desires at the forefront of their mind. Instead, spend some time thinking about the person you are shopping for. What are their interests, hobbies, or passions? Do they collect anything? Is there a subject that they have expressed an interest in learning about? Buying a gift that accurately fits their interests not only makes it more likely that they'll love the present, it also shows them that you care enough to pay attention to their interests and ideas. Medicines are considered nowadays as one of the most important necessity in our lives. Why? Because it uses to maintain our health. It's not just a cure for a certain disease but for prevention as well. 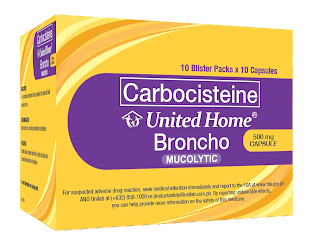 Good thing United Home offers their new products in the market from Vitamins, Women's Health, Prevention & Cure and even Skin Care. Just make sure you have these products in your home too! • Help treat respiratory tract disorders such as acute or chronic bronchitis and chronic obstructive pulmonary disease (COPD). Family vacations can be costly events. When you get finished factoring in the cost of travel, the hotel stay, and food, there's barely any money left for entertainment. This is why it may be a good idea to create a more cost effective alternative to the traditional family vacation. 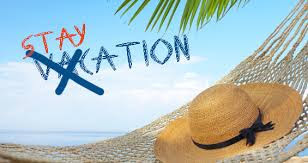 A staycation takes a lot of bite out of the budget by eliminating the travel and gas cost. This, in turn, creates more money for the fun parts of the vacation and saves you a ton of time and money. Staycations let you get to the fun right away. One of the obvious benefits of opting to stay in town for a vacation is all the money that you save on gas and travel. This can range from hundreds to even thousands of dollars depending on where you are going. Gas isn't getting any cheaper and neither are airline tickets. The time and money that you save on travel can create an opportunity to book a more exclusive hotel or go to that nice restaurant across town. This alone is a saves a lot of money. There's no need to worry about unknown areas. Since you're staying in town, you probably won't need that wallet gun holster either. 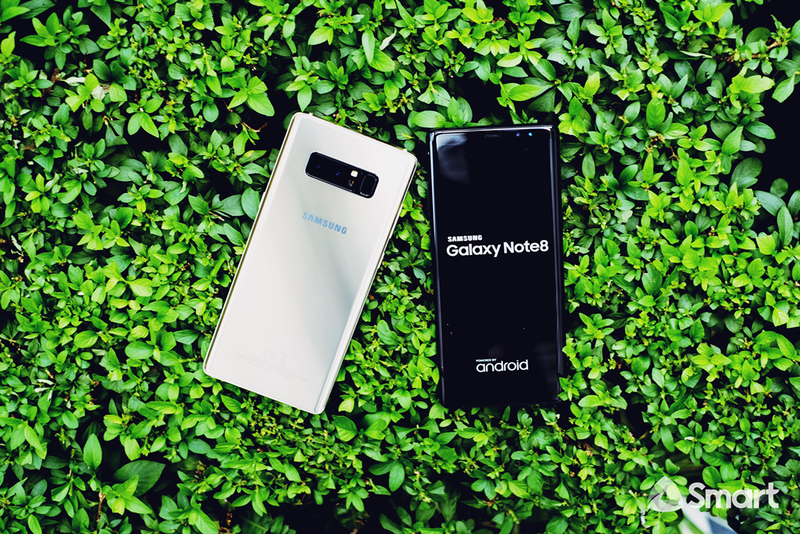 [8 September 2017] Gear up for a bigger and faster mobile experience as Smart has unveiled its postpaid plans for the much anticipated Samsung Galaxy Note8, and launched its pre-order page for the Korean tech giant’s latest flagship device. 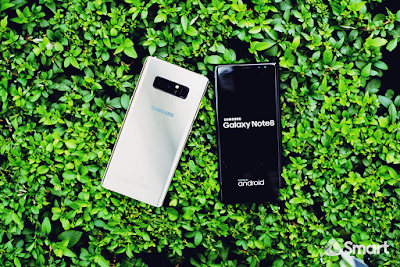 Smart offers Galaxy Note8 starting at P2,499 per month for 30 months with a one-time cash-out of P1,000. This plan comes with monthly inclusions of 10GB data, unlimited texts to all networks, 50 minutes of calls to all networks, and access to top chat apps including Messenger, Viber, and Whatsapp – all for a much bigger and more meaningful smartphone experience. To enhance your mobile experience, Smart also offers Galaxy Note8 under Smart Infinity's premium postpaid plans with signature lifestyle privileges and perks to be unveiled at smart.com.ph/infinity. Wigs are beautiful pieces hair accessories that can help a woman have different hair styles in an instant. There are many reasons why women wear wigs, and that varies from one person to another. Others wear wigs to create different variations of their hair. There are some who will wear wigs for medical and health concerns. Some women just love to have wig collections so that they can style their hair easily and so that they can protect their natural hair from frequent styling. There are so many reasons why women from any race and any skin colors love to wear wigs. Of course, these women know the pros and cons of using wigs. So, are you one of those who wants to buy wigs to increase their collections? If yes, do try to check these lace front wigs, Remy hair wigs, weaves, half wigs, human hair blends and more at Divatress.com. Whether you want to use wigs for personal or for your business, shopping at this one stop leading e-commerce store for wigs and other beauty products is easy. There are thousands of wigs, synthetics wigs and more at Divatress.com (brands from A to Z). When shopping, do check out their clearance for more savings and also enjoy the free US shipping for orders of more than $49. Are you going to shop right now? Anything About Cars Is In Here! Do you know that Cars.com has lots of things to offer for car shoppers, car sellers, and car owners? Have you used this website before buying your car? How about when you want to sell your vehicle? 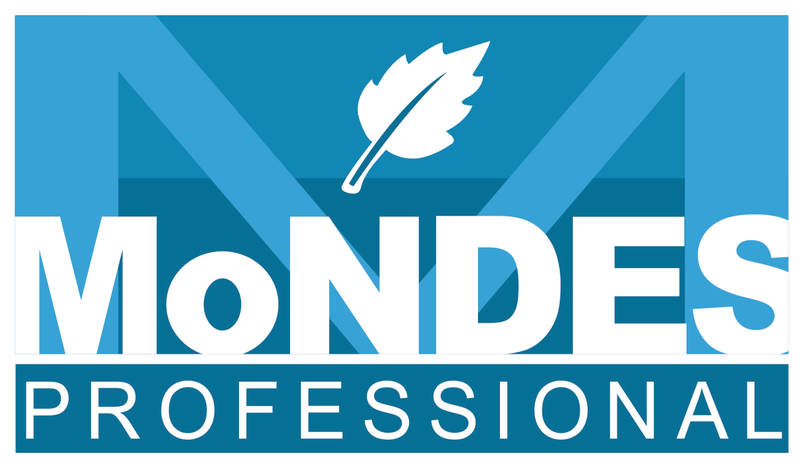 Do you visit this site when you want to read and research for the vehicle brands and models that interest you? If you have been using Cars.com as one stop online resource for anything about cars, then you’ve come to one of the best places on the web. This website has lots of things to offer for car enthusiasts. It has tons of information on buying, selling, and finding the car dealers in the area, reading reviews, watching car videos, and so much more. With Cars.com it is easy to find and compare dealers who are near your area and thus, you can get the baseline price of the car that you want to buy. Also, reading reviews is just simple, and with that, you will have knowledge on the vehicle that you want to purchase. Whether you want to buy a new car, used car, or certified pre-owned, you can read about it at Cars.com. When you want to sell or trade your car, you can also learn on how to sell your car, and you can check on the present worth of your vehicle. The 4th KK Store in CDO! Krispy Kreme welcomes another addition to its growing outlets as they unveiled their newest store in SM CDO Downtown Premiere last August 21. This is the 4th store in Cagayan de Oro, following Centrio Mall, CDO Uptown and the Hot Light store in Limketkai. With the opening of its new store, Krispy Kreme brings a monthlong celebration of everyday moments as it offers a lineup of delightful treats. Krispy Kreme combined forces with the Ghirardelli Chocolate Company to create the deliciously satisfying Ultimate Chocolate Chiller. This cool quencher is made with unique premium, Ghirardelli chocolate doused with milk and whipped cream, sprinkled lightly with Ghirardelli chocolate chips and drizzled in rich caramel. It’s definitely a crave-worthy flavor experience that chocolate enthusiasts wouldn’t want to miss. Krispy Kreme also highlights a well-loved doughnut flavor when it released the Kit Kat Green Tea doughnut. Their newest doughnut flavor has already made waves for its doughnut fans, now making it a mainstay offering. CDO Bloggers with their Ultimate Chocolate Chillers! Apart from these sweet treats, August is a special month for Cagayan de Oro as it celebrates the annual Higalaay Festival. Krispy Kreme joins the CDO community in celebration ofthe feast day of St. Augustine as itthrows another delicious treat alongside opening its new store. Krispy Kreme is offering 3 Original Glazed doughnuts and any 3 Cake doughnuts for only P150 in all stores in Cagayan De Oro from August 25 to 28. Doughnut lovers are sure to get excited for more craveable melt-in-your-mouth moments with Krispy Kreme. These are just some of the many things to look forward to as Krispy Kreme opens its newest store in SM CDO Downtown Premiere. The brand continues to bring a delightful experience to its customers through its indulgent doughnuts, great-tasting beverages and exciting creations. Discover your own #KrispyKremeMoment and visit their newest store at the Ground Floor, SM CDO Downtown Premiere. While some people have unfinished basements that they use as laundry rooms or storage areas, many people finish their basements and use that space in fun ways. You can create your own home office, a home theater for watching films with loved ones or a rec room that makes it easy for you to host parties for kids and adults. If you notice a musty smell that lingers in the air, you may have some water damage in your basement. You'll want to look at some other signs of water damage in that space too. You should check both the walls and floors for any spots that look out of place. When you finished that basement, you probably painted the walls or installed wallpaper and put down some new flooring. You know exactly how the walls and floors should look, which makes it easy to determine if there are unusual spots. Spots that are white or a lighter color and have a powdery finish can indicate mildew. Mold, which is a sign of water damage, can be dark brown, green or even black. If you leave the basement windows open for a few hours to let in some fresh air, you probably expect to see some flies and other insects buzzing around. You do not expect to see a larger presence of bugs when you leave the windows closed though. Insects like spiders and termites can be a sign that your basement has some type of water damage. As water seeps through the cracks and holes in the walls and foundation, the liquid can enlarge those openings and allow bugs to come through too. The bugs can come through the walls as the water moves them away from their natural habitats also. The biggest sign that you have a problem in your basement is when you see puddles of standing water. While this can occur right after a flood, it can also occur when you have a mild rainstorm. This is a clear sign that the water has a way inside your home. If you have more serious foundatwet basement repair Buffalo New York residents who own their own homes can get relief from all the water damage they see in their basements. 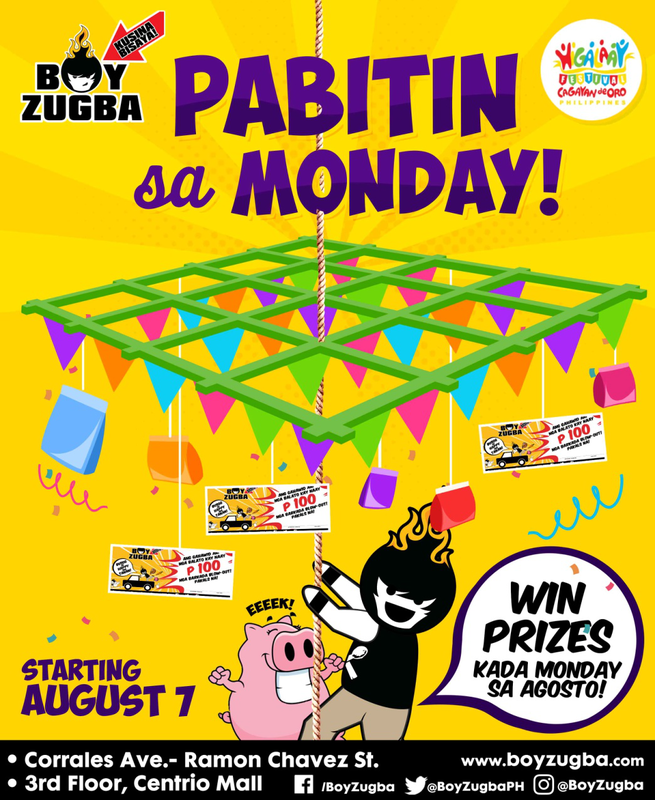 In line with Higalaay Festival, Boy Zugba will have a store "pakulo" called Pabitin sa Monday on every Monday of August. Pabitin is a popular game, usually played in birthday parties and town fiestas, that involves a lattice of bamboo sticks (called a balag) filled with goodies suspended in the air with string. Our version of the pabitin will involve freebies of our special desserts and gift certificates. Through this activity, customers (young and adult) will get to enjoy and experience again this traditional game we used to thrill about during our childhood days. Boy Zugba – Kusina Bisaya opened its first branch in Corrales Avenue last February 8, 2015 proposing a modern and casual counterpoint to traditional Kagay-anon home-cooked meals. 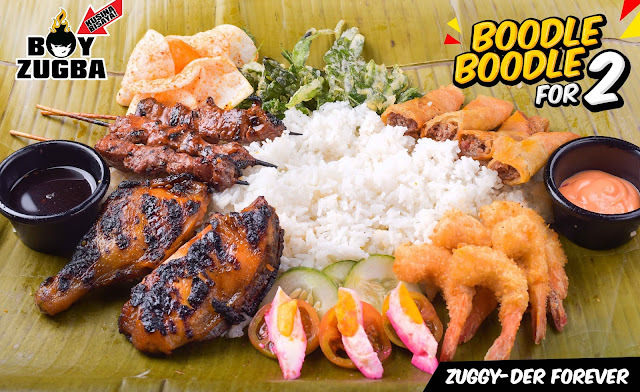 Boy Zugba’s extensive menu is a reconciliation of past and present home cooking and Filipino street food, continuously catering every Filipino’s taste buds with premium food selection and caliber customer service. Food is intended for sharing and is characterized by a familiarity of flavors and the memories they bring back. Its extensive menu is a sure crowd pleaser, full of things people really love to eat, with choices ranging from an array of grilled food items, as well as meals that we normally see in karenderias or eat at home, which are wittingly dubbed with Bisaya names such as Pisbol sa Corrales, Pansit sa Pulis, and Sinuglaw de Cagayan– true to its form as a proudly Kusina Bisaya food joint. 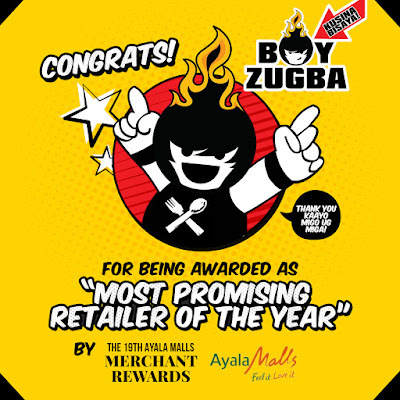 This year, after almost over a year of opening its latest branch at Centrio Ayala Mall, Boy Zugba has been proudly recognized and awarded by Ayala with the “Most Promising Retailer” Award last June 15, 2017. 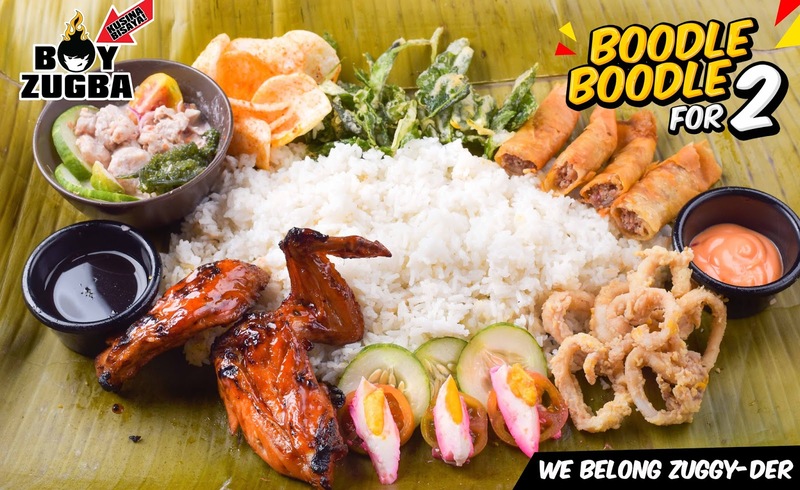 To celebrate its recognition and the upcoming city fiesta, Boy Zugba will be launching Two (2) New set of boodle for 2 for only Php 499. There's nothing like grilling out with the family as a way to enjoy the outdoors. A benefit of a grill is that it doesn't require any electricity, which cuts back on the utility bill, and you usually don't retain all of the grease that you would if you were to fry foods all the time or even bake them. There are a few hacks for your grill that will make it easier to keep the device clean and even upgrade your experience with faster cooking times. 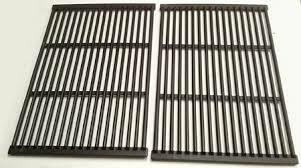 Grill grates are an investment that you want to make as they are easier to use than placing the foods that you want to prepare directly on the grilling surface. You can get disposable grates or those that are like a pan that you would put in the oven. These are easy to clean and can be reused each time you grill. PLDT subsidiary and leader in mobile Smart Communications has made it easier for partner-retailers to keep track of their sales, receivables, inventory, and manage their cash flow better with the introduction of the Ka-Partner Retailer mobile application. The initiative is in line with the digital transformation that Smart is implementing across its operations and the way it does business. “Smart is in the midst of a digital pivot. Our partner-retailers play a very important role in our business. They are our frontliners in the community and it is imperative that we bring them along in this digital journey. With the mobile app designed exclusively for them, our partner-retailers will be able to digitize the way they do business,” said Alex O. Caeg, head of Wireless Consumer Division Sales and Distribution at Smart. Retailers play a crucial role in Smart’s growth. Together, they account for 80-85 percent of Smart’s total prepaid revenues. For many, the expense of buying and running a vehicle is so great that it is hard to imagine being able to afford your dream car. Instead of selecting your ideal features and finishes, you may have to settle for whatever model you can afford, but once budget has been decided, it is the look and aesthetic of a car that draws us to buy it – there’s an inner battle : do you deny yourself all of the latest features and be too thrifty, or do you splash out for the sake of appearances and feel too reckless? Luckily there are ways to get the best of both worlds. Below is a list of ideas on how to get your dream car within budget. The Bigby’s Café Concept was first introduced in the city of Cagayan de Oro on December 8, 1998. Its creators came up with an idea of creating an atmosphere fit for an adventure into the different cuisines of the world. The menu, the interior design and service style were created to position the concept midway between fine dining and fast-casual dining. This format has developed into the Bigby’s Café and Restaurant System. The City's Local Pizza Is Now In CDO! Home of the famous MADCOW pizza! "It packs heat, serious heat!" Have you heard about Pizzarella? Personally, I have heard it when I was still in Iligan and was able to taste it and I can truly say that they make the best pizza in town! Pizarella is situated in the heart of Iligan City and was opened 5 years ago (April 2012) by the Portado siblings which started from a simple dream (+ prayers) that made it eventually into a reality! With their faith and hard-works, they are now able to provide their diners with finely crafted pizzas, using the freshest ingredients from the local vendors. Pizzarela's are offering a savory Italian and Filipino recipes inspired out from their own kitchen recipes. Yesterday, (May 26, 2017) a rustic-inspired yet with contemporary cozy sensitivity Pizzarella opens their 4th stores in Corrales St., Cagayan de Oro (2 in Iligan and 2 in CDO). Now, they are hoping to open more soon!